I hope you enjoy the images from this beautiful engagement session. 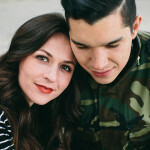 It was so special to capture my dear friends in this fall inspired shoot! Chaz Michael Michaels - Do you even lift bro? ?